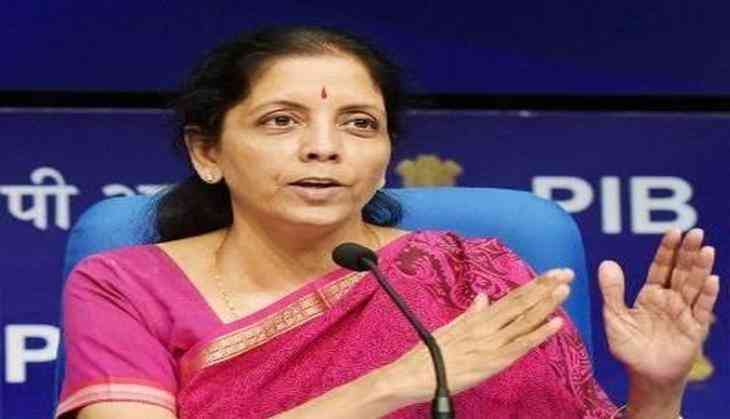 Defence Minister Nirmala Sitharaman on Tuesday presided over India's show of Naval might and viewed air/helicopter borne under-water detection capabilities with Chief of Naval Staff Admiral Sunil Lanba and Flag Officer Commanding in Chief Western Command Vice Admiral Girish Luthra. More than ten warships from the Indian Navy including the aircraft carrier, INS Vikramaditya, three submarines and various naval aircraft participated in operational manoeuvres conducted off at the western coast of India. Sitharaman initially embarked INS Kolkata, the first of the indigenously built Kolkata Class destroyers and then spent the night at sea on-board INS Vikramaditya. To assess the performance of the carrier in real conditions, the Defence Minister 'transited' through a simulated 'multi-threat' environment on-board along with her 'escorts' during the night of January 8. Reviewing the maritime prowess of the Indian Navy over the two days, Sitharaman presided over a multiple complex naval operations including air interceptions, missile, gun and rocket firings, ship-to-ship replenishment, night flying and anti­submarine operations. The Western Fleet of the Indian Navy undertook these major naval manoeuvres off the western seaboard of India to showcase operational excellence and combat capabilities. Sitharaman commented on the readiness of the Indian Navy and said, "Having witnessed first-hand the prowess of the Western Fleet, I am confident that the Indian Navy is fully capable of defending the nation against any form of threat." Continuing the effort to collect feedback from Armed Forces Personnel at all operational levels of the military, Sitharaman interacted closely and had open discussions with the sailors on-board the warships.